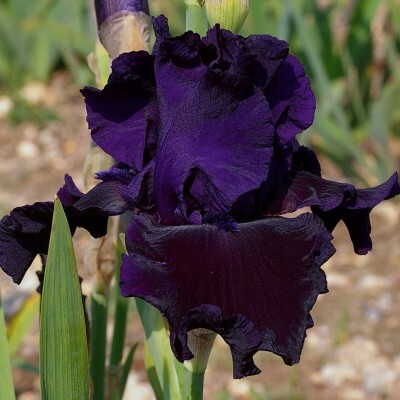 If you liked "Badlands" and "Black Suited", you will no-doubt also be attracted to their slightly lighter-coloured but taller offspring, with its violet-leaning-towards-black standards of glistening satin. Plentifully branched stalks gracefully carry 9 or so superbly shaped ruffled flowers... A "full house", wouldn't you say? 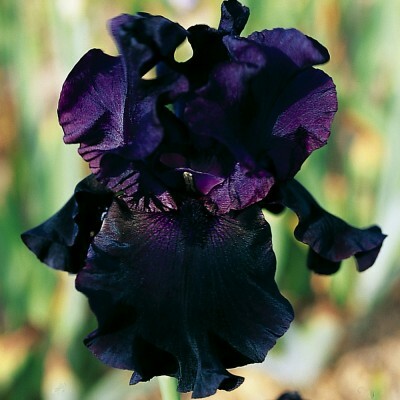 Relatively moderate-sized flowers that have a compact shape and exceptional ruffling, dark blackish purple falls and lighter reddish purple standards. Black beards. Good growth. 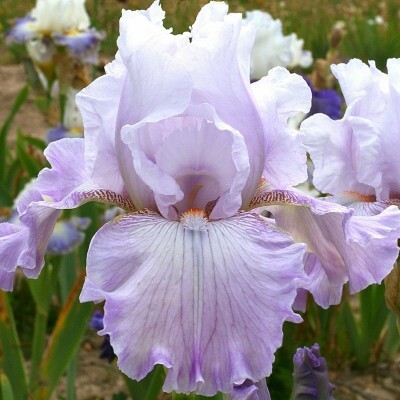 Pleasing subtle and soft shades, with lilac-white standards and light-lilac falls which frame red-tipped white beards. Elegantly placed branches and perfect stems. An average of 10 buds per stem. 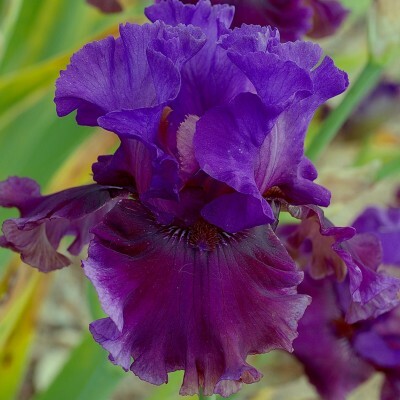 A slightly strange but attractive colour : medium purple standards, burgundy toward the heart. Almost horizontal falls coloured somewhere between magenta pink, purple or violet. Purple beards. An abundance of flowers: 3 to 4 branches per stalk carrying each between 8 and 13 buds!